We all love music. Whether we're browsing the Internet, editing some pictures in Photoshop or writing the next bestseller in Pages, music is always by our side. 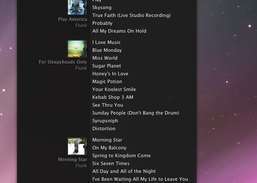 But isn't it annoying to switch to iTunes just to select a different song or pause playback? 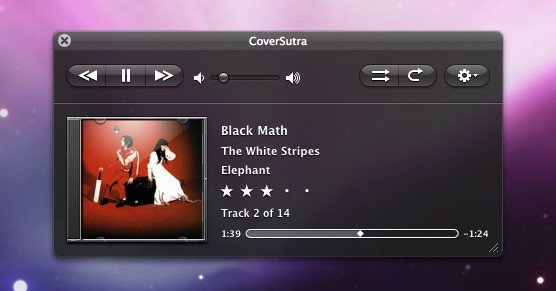 CoverSutra gives you a handy and attractive way to control iTunes without having to leave your current application. See what's currently playing or enjoy your album artwork. Don't let yourself be distracted from your work... CoverSutra is never in your way but always by your side. 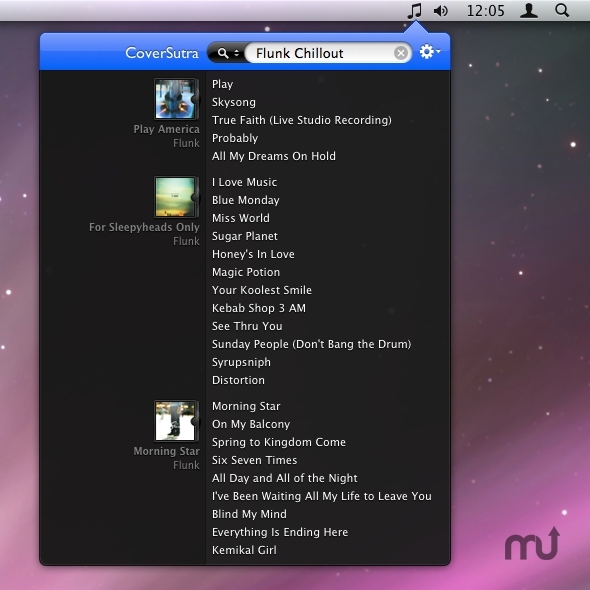 Themable iTunes floating controller with Last.fm integration. 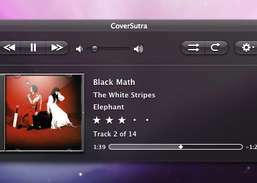 Elegant and beautiful music player. 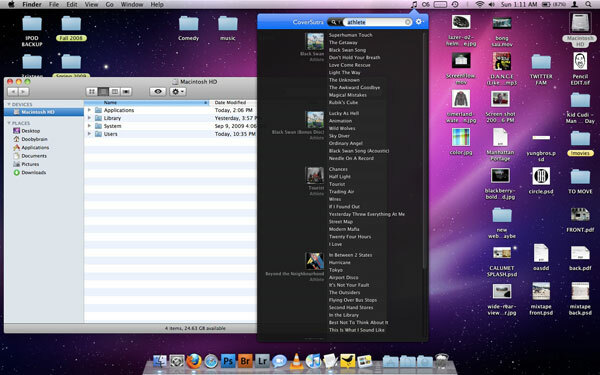 Minimal interface to start music & movie playback without launching iTunes. Analyze, identify and complete your music library. 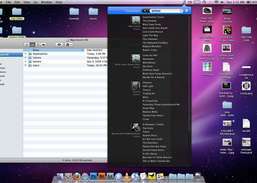 One-click access to lyrics, music videos or to buy tracks on iTunes.